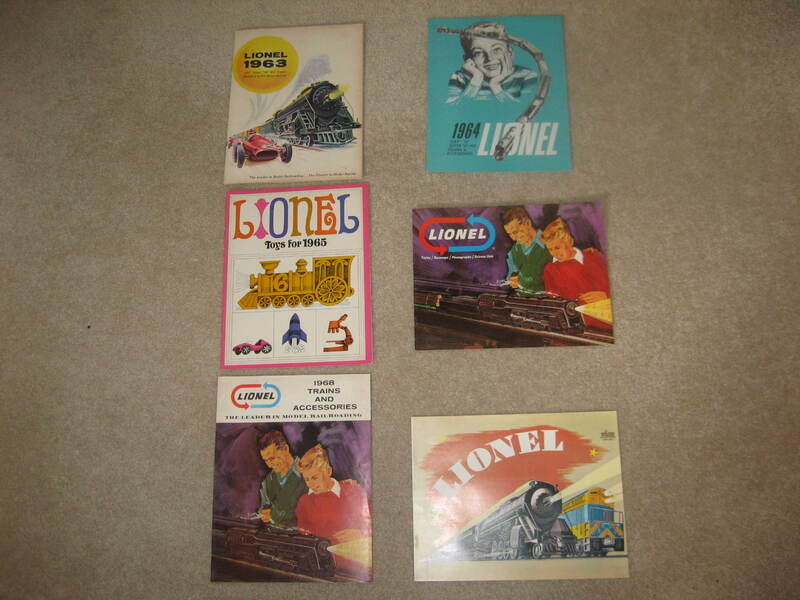 1945-1969 Lionel Consumer Catalogs Excellent Condition. 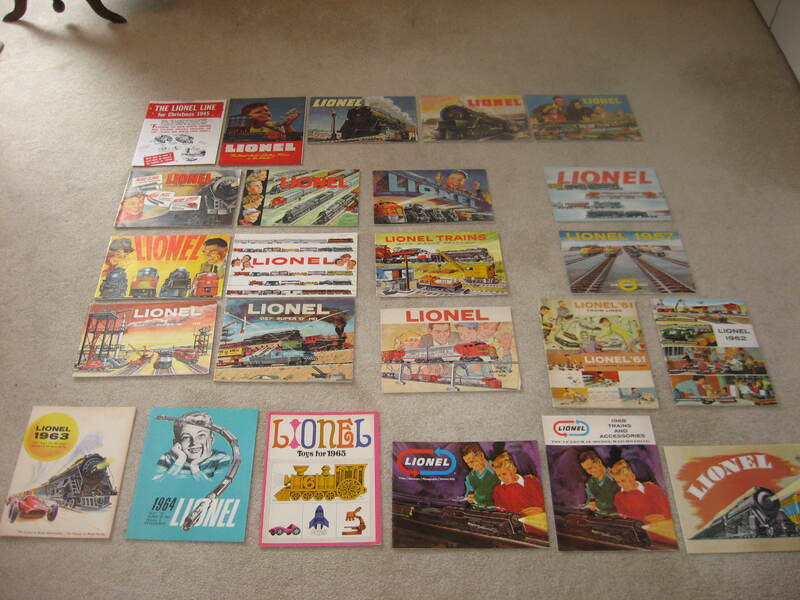 - $410.00 : Olson Hobbies, Welcome To The Train Page! 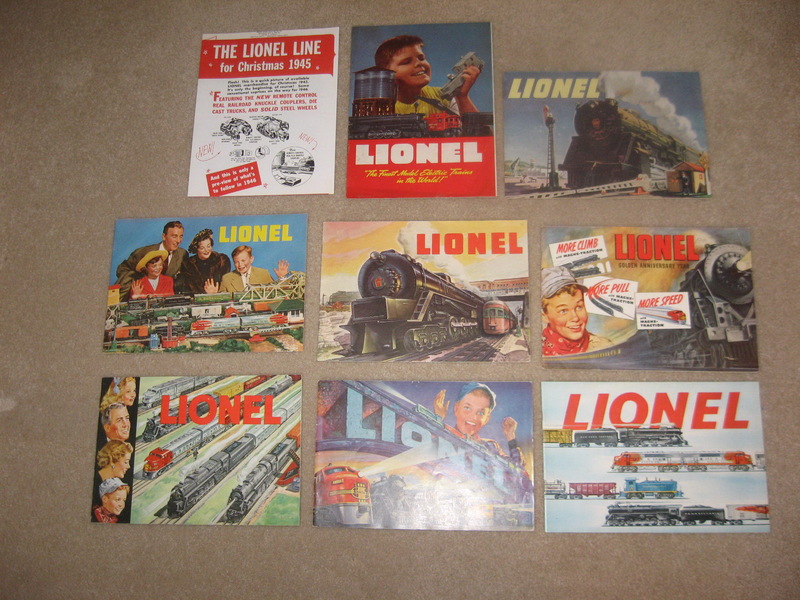 Set of Lionel catalogs 1945-1969 (Pre MPC). 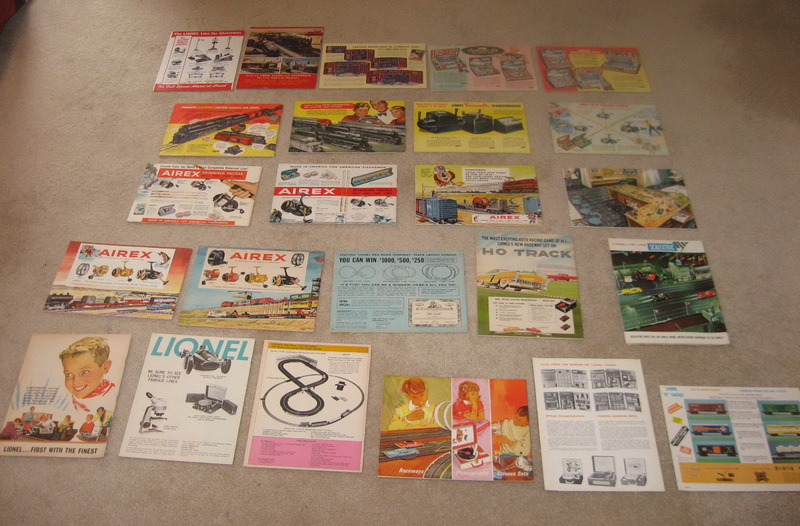 All of these catalogs in top rated condition. 1951 with dealer rubber stamp from Don Eberle, Albany Hardware & Iron Co. 1959 with dealer rubber stamp from Schnurr & Wood, Delmar, NY. 1961 dealer rubber stamp from Tom's Trains & Hobbies, Normandy, MO. If you want to have a nice set for your catalog collection, this would be it. 1945 is a Lester T Gordon reprint. 1946 - there is light water discoloration on bottom of pages (with price list). 1947-1948-1949 - all nice and complete. 1950 pages 1-3 with 1" bend mark upper right hand corner. 1951 date written on cover. 1952 couple of small paper dings on cover. For information on the catalog contents, you may go to the individual year listings on my web site and view. Total normal cost on these catalogs if purchased separately is $530.00. Purchase these as one lot for approximately 23% discount, net cost $410.00. DUE TO EXCESS WEIGHT OF 24 CATALOGS SHIPPING WILL BE CALCULATED ACCORDINGLY.